BIBLE PROPHECY: Persecution of Christians is one of the signs of the conclusion of the system of things. YOU and lyingly say every sort of wicked thing against YOU for my sake. QUESTION: Which one of the many religions that profess to be Christians, is enduring persecution? ANSWER: God’s visible organization: Jehovah’s Witnesses. True, the Mormon Church of Satan/CIA recently arranged for ISIS to attack and kill 29 people who profess to be Christians in Egypt, and will probably arrange to have their ISIS kill more, however it was Jehovah’s Witnesses who were imprisoned here in the U.S. for speaking out against World War I (as commanded to by their leader, Jesus Christ the Prince of Peace); imprisoned in Nazi prison camps (some murdered) for refusing to serve Hitler; and recently, banned in Russia. There is absolutely no question that, Jehovah’s Witnesses are the ones enduring the persecution that Jesus Christ foretold would occur in these last days—now these last seconds—of this deceptive, exploitative, corrupt, vile, rotten-to-the-very-core system of things. Jehovah’s Witnesses were subjected to intense persecution under the Nazi regime. The Nazis targeted Jehovah’s Witnesses because they were unwilling to accept the authority of the state, because of their international connections, and because they were strongly opposed to both war on behalf of a temporal authority and organized government in matters of conscience. 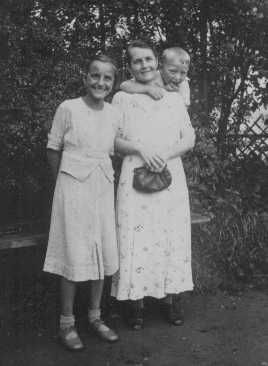 Helene Gotthold, a Jehovah’s Witness, was beheaded for her religious beliefs on December 8, 1944, in Berlin. She is pictured with her children. Germany, June 25, 1936. 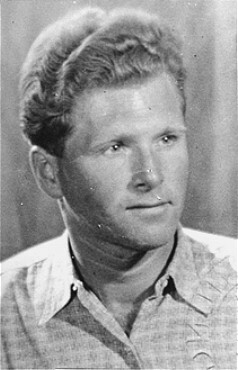 Aart Bouter, a Jehovah’s Witness, was arrested by the Dutch police and deported to Sachsenhausen concentration camp. The Netherlands, 1946–1947. The Kusserow family was active in their region distributing religious literature and teaching Bible study classes in their home. Their house was conveniently situated for fellow Witnesses along the tram route connecting the cities of Paderborn and Detmold. For the first three years after the Nazis came to power, the Kusserows endured moderate persecution by local Gestapo agents, who often came to search their home for religious materials. In 1936, Nazi police pressure increased dramatically, eventually resulting in the arrest of the family and its members’ internment in various concentration camps. Most of the family remained incarcerated until the end of the war. Bad Lippspringe, Germany, ca. 1935. 1933-39: The Kusserows were under close scrutiny by the Nazi secret police because of their religion. 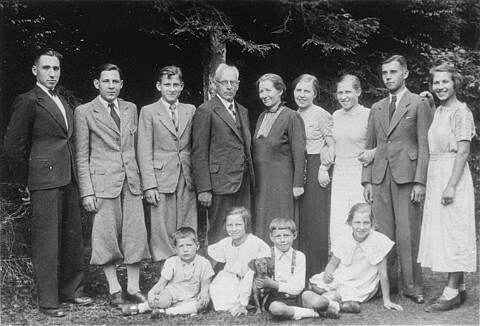 As a Jehovah’s Witness, Wolfgang believed that his highest allegiance was to God and His laws, especially the commandment to “love God above all else and thy neighbor as thyself.” Even after the Nazis arrested Wolfgang’s father and oldest brother, Wilhelm, the Kusserows continued to host, illegally, Bible study meetings in their home. 1940-42: Believing that God, not Hitler, was his guide, and obeying God’s fifth commandment, “Thou shalt not kill,” Wolfgang refused induction into the German army. He was arrested in December, 1941, and a bill of indictment was issued on January 12, 1942. After months in prison, Wolfgang was tried and sentenced to death. On the night before his execution, he wrote to his family, assuring them of his devotion to God.Wolfgang was beheaded by guillotine in Brandenburg Prison on March 28, 1942. He was 20 years old. 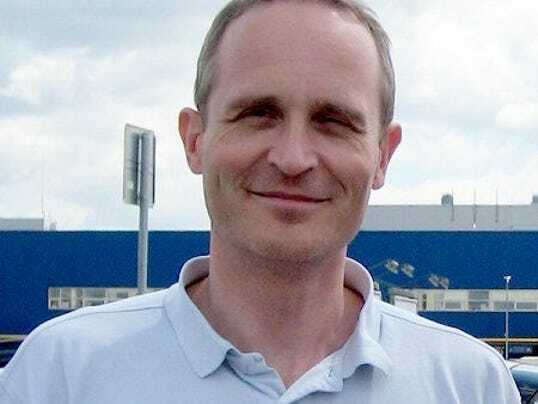 A Danish national was arrested this week during a police raid in the central city of Oryol, Russia, during a worship service by members of the Jehovah’s Witnesses, which Russia recently banned as an extremist organization. The Dane was identified as Dennis Christensen, according to a spokesman for the religious organization in New York. Christensen was picked up in the raid Thursday night by Oryol police and agents of the FSB, the successor to the KGB. The officers also confiscated a Bible, religious literature, laptops and hard drives, according to the SOVA Center for Information and Analysis, a Russian non-profit group that tracks human rights issues in the country. Russia’s Supreme Court last month formally banned Jehovah’s Witnesses as an extremist organization and ordered the state to seize its property in Russia. Borisova also said the Jehovah’s Witnesses’ opposition to blood transfusions violates Russian health care laws. Documents posted by the Oryol region district court said Christensen was accused of committing a “serious crime” under the laws pertaining to an extremist organization and ordered held until trial. Yaroslav Sivulsky, a lawyer for the local group, told the Russian website Mediazone that Christensen was arrested only because he was reading the Bible along with other worshippers, Radio Liberty reported. “These disturbing events are clearly aftereffects of the Russian Supreme Court’s unjust decision against us,” he said. The Jehovah’s Witnesses, which has some 175,000 followers in that country, first legally registered as a religious group in Russia in 1991 and re-registered in 1999, according to the organization’s international website. Earlier this month, German Chancellor Angela Merkel said she raised her concerns over the Jehovah’s Witnesses ban and other human rights issues in a meeting with Russian President Vladimir Putin. The British Government says it is “alarmed” by Russia’s ban on Jehovah’s Witnesses and has launched an appeal for Vladimir Putin to uphold religious freedom. Baroness Anelay said a ruling by the Russian Supreme Court “effectively criminalises the peaceful worship of 175,000 Russian citizens” and contravenes rights enshrined in the country’s own constitution. The Jehovah’s Witnesses plan to appeal Thursday’s ruling, which came after six days of hearings attended by hundreds of supporters. The case could be taken to the European Court of Human Rights, which ruled a previous attempted ban on Jehovah’s Witnesses in Russia unlawful in 2010. The Supreme Court was deciding on a claim lodged by the Russian ministry of justice to liquidate the group’s administrative centre near St Petersburg and 395 local organisations. Its decision will come into effect within 30 days unless an appeal is lodged, when it will be delayed until the resolution of the case. A lawyer for the justice ministry, Svetlana Borisova, told the court adherents “pose a threat to the rights of the citizens, public order and public security”. Jehovah’s Witnesses, who are known for door-to-door preaching and handing out literature, reject some of mainstream Christianity’s core beliefs and have more than 8.3 million members around the world. Jehovah’s Witnesses first registered as a religious group in Russia in 1991 and registered again in 1999, but have been targeted repeatedly by authorities in a wide-ranging crackdown on religious freedom. Russia changed its legal definition of extremism in 2006, removing requirements for violence or hatred but stating the “incitement of … religious discord” as criteria, leaving the Jehovah’s Witnesses with the same legal status as Isis or Nazis. The group’s international website was blocked in Russia two years ago over alleged extremism, with its Bibles banned the following year, while a local chairman was jailed for two years on charges of possessing “extremist literature” in 2010. The Organisation for Security and Cooperation in Europe (OSCE) was among the international bodies condemning a “state sponsored campaign of harassment and mistreatment of Jehovah’s Witnesses” it said dated back to the 1990s in Russia. It listed police searches, assaults, arson attacks, vandalism, seizures and raids on places of worship, as well as the arrest of several members and criminal investigations. The Russian Orthodox Church, which enjoys close ties with the Kremlin and the patronage of Mr Putin, is the country’s largest religion, with followers representing around 41 per cent of the population. Other Christian denominations also make up a significant proportion, as do atheists, Muslims and spiritual movements including “neopaganism”.